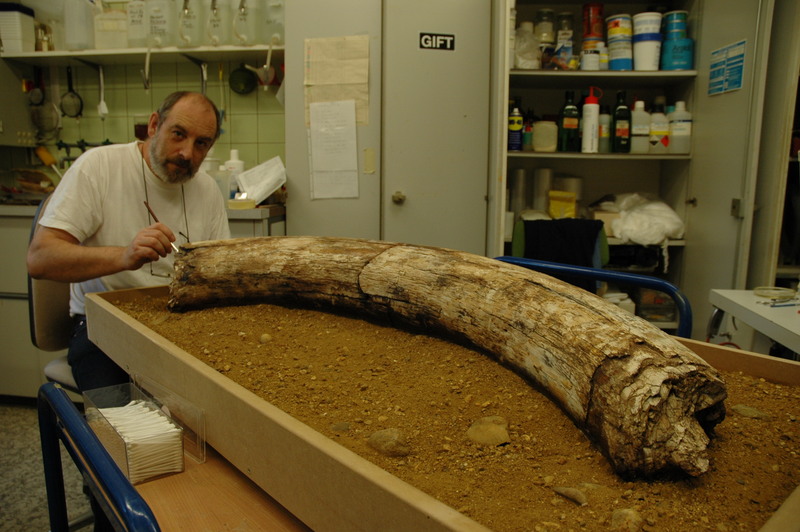 Taxidermist René Heim works on a 60,000-year-old mammoth tusk. Wide-bucket excavators aren’t the tools of choice for archaeological digs, but sometimes you can’t be too picky. An astute workman was quick to realize the machine he was operating struck something special at a Lucerne-area gravel pit. That “something” was a 45,000-year-old mammoth tusk, about 180 centimetres long and about 50 centimetres in diameter at its thickest part. By the way, there’s a great website detailing the archaeological dig. It’s in German, but you can see several photos of the procedure and of the man who found the tusk.